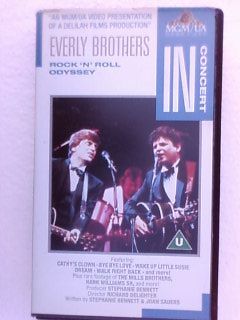 The Everly Brothers - Rock n Roll Odyssey. 1984 video A music documentary that follows the Everly Brothers from their debut at the Grand Ole Opry, to their bitter separation in the 70's. Hit titles performed include "Bye Bye Love," "Wake Up, Little Susie," and "All I Have To Do Is Dream."